2. Department of Chemistry and Chemical Technology, Bronx Community College of City University of New York, USA. like these functioned as money and as raw material before coinage. Evidence from silver hoards found in Phoenicia is linking Tarshish, the legendary source of King Solomon's silver, to ores in the western Mediterranean. Biblical passages sometimes describe this lost land as a supplier of metals (especially silver) to Phoenician sailors who traded in the service of Solomon and Hiram of Tyre in the 10th century BC. Classical authors similarly attribute the mercantile supremacy of the Phoenicians to their command of lucrative supplies of silver in the west, before they colonised the coasts and islands of its metalliferous regions around 800 BC. Conservative rejections of such reports have correctly emphasised a lack of evidence from silver. 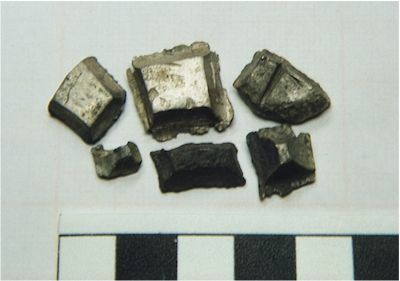 Lead isotope analyses of silver hoards found in Phoenicia now provide the initial evidence for pre-colonial silver-trade with the west; ore-provenance data correlate with the ancient documents that indicate both Sardinia and Spain as suppliers, and Sardinia as the island of Tarshish.